Enrique Flores has a simply amazing collection of travel sketchbooks - some of which are now listed on my playlist of other people's travel sketchbooks on my new YouTube channel which focuses on travel and sketchbooks. I think Cin Woods (Learning Daily) was the first person to put me onto Enrique's work - but until I saw his his channel at YouTube I had no idea how many sketchbooks he'd completed - and has now videoed. Enrique's username at YouTube is acuarelista. Enrique has travelled to some very interesting places (Nepal, India, Cuba Morocco) as well as countries in Europe (Greece, Italy, Portugal) and parts of his home country of Spain. He produces an incredible quantity of watercolour sketches while travelling through a country. As you can see below his usual output is about 4-5 a day. I wanted to show some images with this interview and asked him for some sketches from Nepal which I found stunning. Here's what I like best about his sketchbooks. Enrique's work is simple, clear and has huge impact. His sketches of landscapes and scenes are both big and typically well composed. He finds the big shapes in a scene and uses them well. Put simply Enrique makes pictures. He has a really good ability to leave a big empty space when that makes for an effective design. He leads you in and around the scene he's recording and also records small details and objects he saw. He uses saturated colour as required and I can't remember seeing anything which had been fussed and overworked. I like the way he attaches the small mementoes of a place - but without overdoing it. I wrote to him and asked if I could interview him for this blog - as I very much like to promote travelling with a sketchbook and I thought we could all probably learn something from Enrique. So here's the interview - my questions and his answers. What's your background in terms of training? I spent five years at Fine Arts university in Madrid plus 2 years doing a Master in Arts Graphic Design at St. Martins, London. I worked in advertising (JWT) for a while before choosing the weird life of the freelance ilustrator. How long you've been keeping a sketchbook? How do you manage to get so much done while travelling? I consider myself quite lazy when travelling and I disagree about the quantity of drawings you think I make. I should do a lot more. None of them takes me more than half an hour and some of my travels are one month long. Anyway I´m OK when I do about 4-5 drawings a day. When I´m in ugly places I try to draw just to keep my hand working, no matter of the subject. 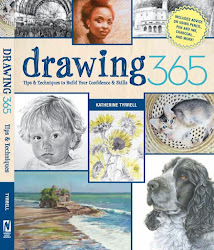 What sorts of sketchbooks have you have used? What sort of watercolours do you use/prefer? I prefer Schmincke but for a long time I´ve used a plastic box of Winsor and Newton 14 half pans. It´s smaller and less heavy than the Schmincke metal box and more comfortable for carrying around. What sort of brushes do you use/prefer? Any brush is fine by me and lately I´ve been doing good watercolours with a flat brush intended for ceramics! I never use fine Kolinsky brushes as I´m very absent-minded and I lost them very often. Menorca, at the Balearic Islands after high season passes. I´ve been there already and it is a fantastic place for sketching. Great rocks and cliffs and turquoise waters. ....and which places do do you still want to visit? I´m willing to travel in isolated and lonely places such as Patagonia and Tibet but I need at least three monts for doing it with no rushes and I´m still waiting for the appropiate moment. I know I can't wait to see another Flores sketchbook. 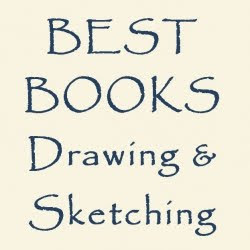 Please visit Enrique's blog and let him know what you think of his sketchbooks. 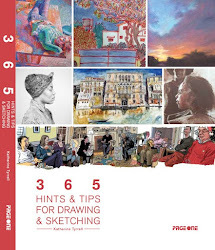 I've included a new module in the right hand column for videos of travel sketchbooks which I like. My general aim is to get my head round how I can do a video of my own travel sketchbooks. If anybody has any tips please leave a comment below for me and others of a similar inclination. 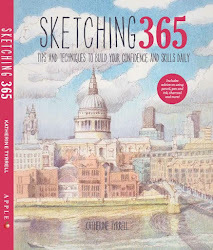 The new module has a link to my playlist of other people's travel sketchbooks on my new YouTube channel which focuses on travel and sketchbooks. I've started the playlist by adding a lot of videos from one of the masters of the travel sketchbook - Enrique Flores - whose user name on YouTube is acuarelista. Most of Enrico's sketches are in watercolour, some are in large format (A4) sketchbooks and some use the new Moleskine watercolour sketchbook. You can also see the videos by visiting Enrique's blog and you can see even more on his channel at YouTube. 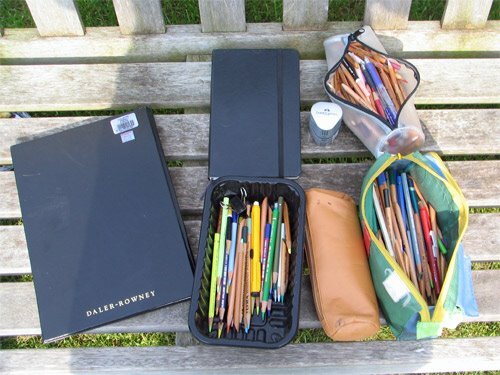 This post is going to link to all the posts I've previously written about assembling a tool kit for sketching plein air. First off, everybody's idea of what they need is different - there is no one right answer. You need to experiment to find out what works for you. Different circumstances also require different kits - you need to think about where and how long you will have to carry your kit. These are just my ideas of the different ways I assemble a tool kit of materials when travelling with my sketchbook. Sketch toolkit - what I take overseas - when going on a serious art holiday the kit comes first and the clothes come second! The following posts include photos of my set-ups at different places in the USA during the summer of 2006. I'll update this summary as and when I write about items in sketching toolkits. Next I'll provide links to posts about individual items which are recommended for sketching plein air.